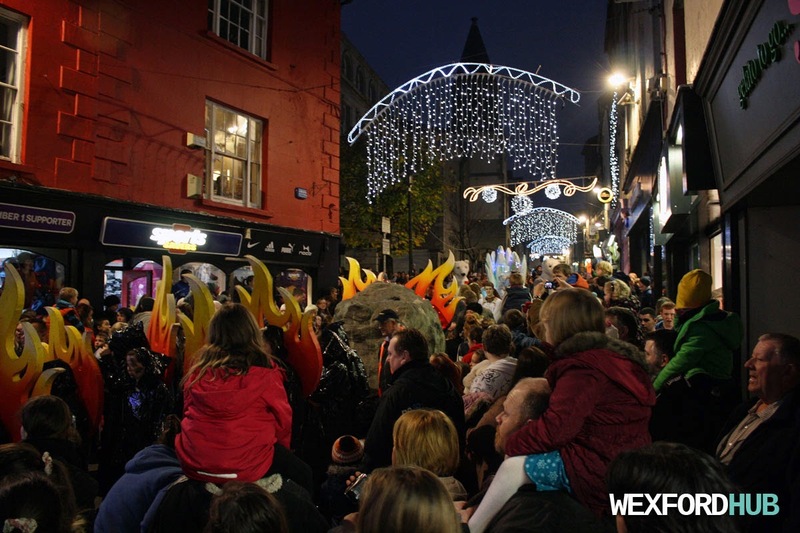 A photograph of the Santa parade on Wexford's North Main Street. This was taken in November of 2014, during the Christmas season. As you can see, the place was flooded with people, making it extremely difficult to move! In retrospect, it might have been a better idea to hold the parade on Wexford's quay-front, which would have surely given the crowds more space.